So I’m sitting on the sideline stretching before my next pickup game of basketball when I get the casual handshake and what’s up from a friend of a friend. I didn’t know this guy, but he knew who I was and all about my coaching & counseling. Then we both commented on someone who just got it handed to them on the court which was followed by 2 minutes of silence. “So if someone is trying to get their life back on track, are you saying this program works?” I could see the pain in this brother’s eyes, but decided not to mention it. One of the hardest things for Men to do is ask for help. So many stereotypes and stigmas have been passed on throughout the years surrounding Men and our ability to successfully seek help when we need it. What’s more problematic is that boys usually hear statements like these immediately after being disciplined in some capacity. The reality is that children have a right to be angry and hurt just like you do. Parents have to be careful. 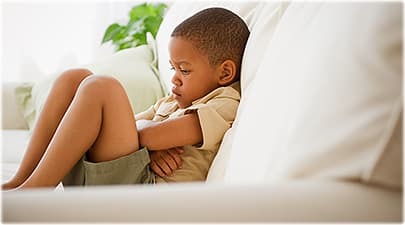 Being taught how to stifle our emotions as boys, systemically severs our connection to cognitively communicate what we’re truly feeling. Suppression versus expression then becomes the norm. Either way, we have a cycle of subscribing prescriptions of passive principles that are systemically problematic for our personalities and plights as men. Sharing what’s on your mind or what you’re going through is important. Often times you think you’re the only one going through some mess, but if you look around, you’ll find that the ledge you’re standing on is so crowded that it’s about to crack due to the abundance of folks who you never suspected to see standing next to you. As men we have to realize that we all go through similar situations, sentiments and circumstances. By sharing or expressing your story, you release the tension and pressure of feeling like you’re dealing with it alone; you’re not. Being vulnerable isn’t a bad thing. When emotions are not dealt with in healthy manners or are repressed, denied or discouraged, other unhealthy behaviors begin to manifest. Avoidance behaviors that drive us further away from dealing with our initial problem. Fellas, women are often quick to say men don’t talk, don’t have feelings or don’t know how to express themselves. Those stereotypes have plagued our society for years. Fortunately, I beg to differ. In fact, men are extremely articulate when it comes to expressing themselves if they are provided the right opportunity, environment and platform. The good news is that it’s never too late to begin learning how to share and express yourself. Conquering the fear of swallowing your pride and telling your ego to beat it is easy if you remember that God speaks to you and through you. So holding in your feelings is only blocking the blessings you’re supposed to be expressing in hopes of helping yourself and possibly someone else. Real men don’t have issues with raising their hand and asking for help. If you’re struggling with something, be man enough to talk about it in some capacity. You never know how much sharing will benefit you until you try it. Who knows, expression versus suppression could save your life and the life of someone who just heard how hard you thought you had it.